For years, GSO has made dobsonian telescopes sold under various labels. Users of these scopes know the excellent quality of the optics included, and they have a well-deserved reputation for being the finest mirrors in their price range. We are now pleased to offer virtually the entire line of GSO's Newtonian optics in the US market. GSO's parabolic primary mirrors are perfect for those who want to build their own telescopes or replace mirrors in older ones. Ranging in aperture from 6” to 16” and offered in various f-ratios, these mirrors are made from optical grade BK-7 glass. 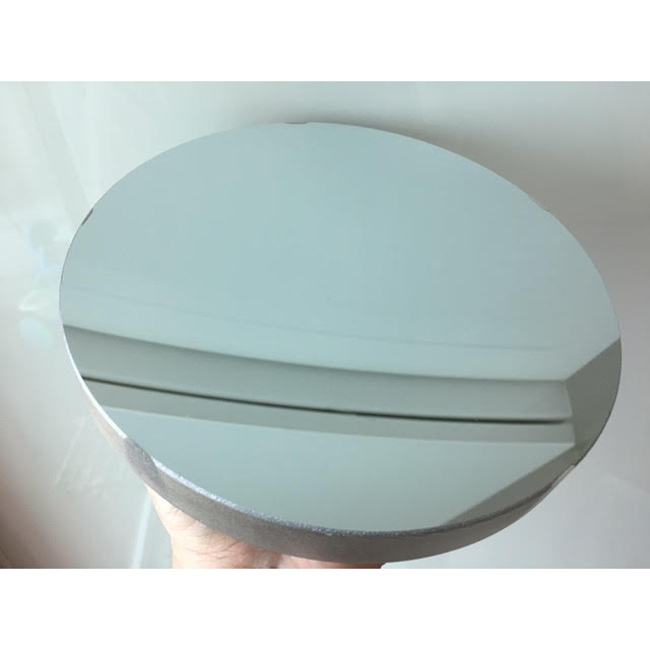 All mirrors have a reflective aluminum coating with a reflectivity of 92-93%. The aluminum coating is protected by a silicon oxide (SiO2) over-coating. GSO uses high-volume, state-of-the-art, high quality manufacturing and test lines. GSO guarantees diffraction limited performance, but their mirrors typically have a mirror surface quality of 1/16 wave RMS at least, and often better. This very smooth mirror surface results in excellent optical performance with practically no light scatter. Besides parabolic primaries, we also offer matching GSO secondary elliptical mirrors, mirror cells, and spiders (all sold separately). Most parabolic mirrors will have 2-4 minor uncoated areas along the edge of the mirror. See photo 2 above for an example. These are caused by the clips used to hold the mirrors in the coating chamber. Note that these are not defects. A couple of these uncoated edge strips will typically be covered up by the clips in your mirror cell anyway. Q. Is a test report included with each mirror? A. No. GSO tests each mirror via laser interferometry before shipping, but does not provide individual test reports. Q. Is the primary center-dotted? A. Sometimes yes but mostly no. It just varies from batch to batch. You can easily center-dot the primary yourself if the mirror you receive is not dotted. Instructions to do this are readily available on the internet. If you want a center-dotting sticker, just request one from us at the time you place your order. If you want a mirror that does not have this center dot, please check with us before your purchase. Removing the center dot is not easy or recommended. If the mirror already has a center dot but you do not want it, we recommend that you not purchase this item. Actual measurements can vary by a little bit from all values shown above due to manufacturing variations. 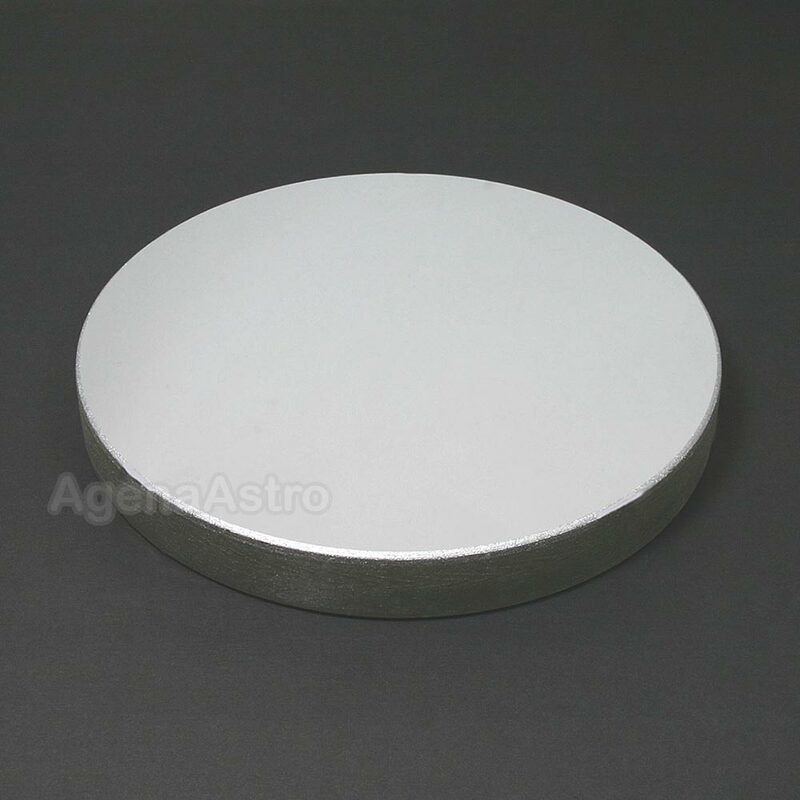 Actual coated mirror diameter will be 2-3 mm less than the Mirror Diameter listed above.